When I got this package in the mail, I was more than excited! 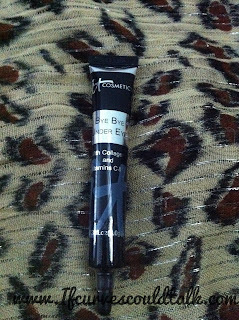 I have reviewed two of IT Cosmetics products before and fell completely in love with this make-up. They sent me a sneak peak at the first EVER TSV (Today's Special Value) Complexion Perfection Anti-Aging 4-Piece Collection on QVC available only one day (January 13th). Oh boy are you guys in for a treat! Thats an amazing deal! Let me show you why! The Heavenly Luxe Ultra Plush Powder Brush(Top) & The worldwide launch of Heavenly Luxe Dual Airbrush Concealer/Foundation Brush (bottom) - They are a match made in heaven. For me, most brushes are too hard. IT Cosmetics nailed it with these brushes! The bristles feel like heaven! Both handles are sturdy. 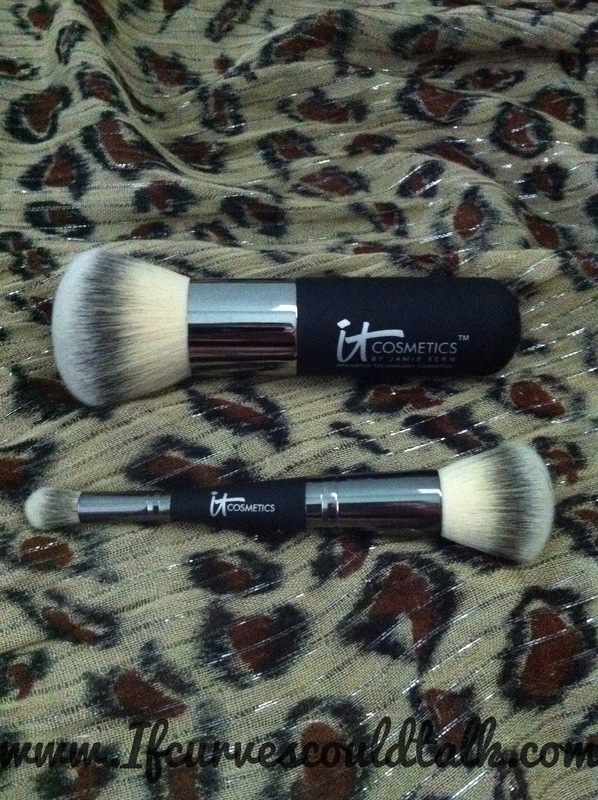 These brushes are HIGH QUALITY! 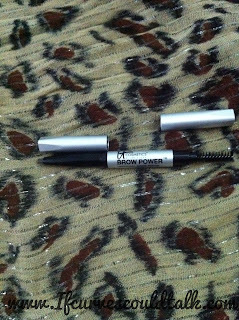 Travel Size Brow Power Universal Brow Power Pencil- Ladies, I have not tried this brow pencil yet, in fact I do not fill in my brows, but I have heard great things about this pencil. Again, this will NOT be shown on TV however will come in your package if you order this for FREE. 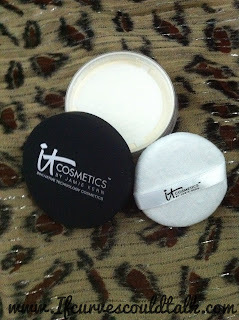 A little Thank you from IT cosmetics you shall say. Bye Bye Pores Anti-Aging Silk HD Micro-Powder- I LOVE THIS STUFF! I did a review a few months back on this stuff. AMAZING. Check out my review HERE. So is this GREAT is available to you for just $49.98! Again, JUST $49.98 for ONE day ONLY! So on January 13th, which is THIS FRIDAY, as a Today’s Special Value at www.QVC.com. The item number is A220840. This offer is available to U.S and Canada residents. 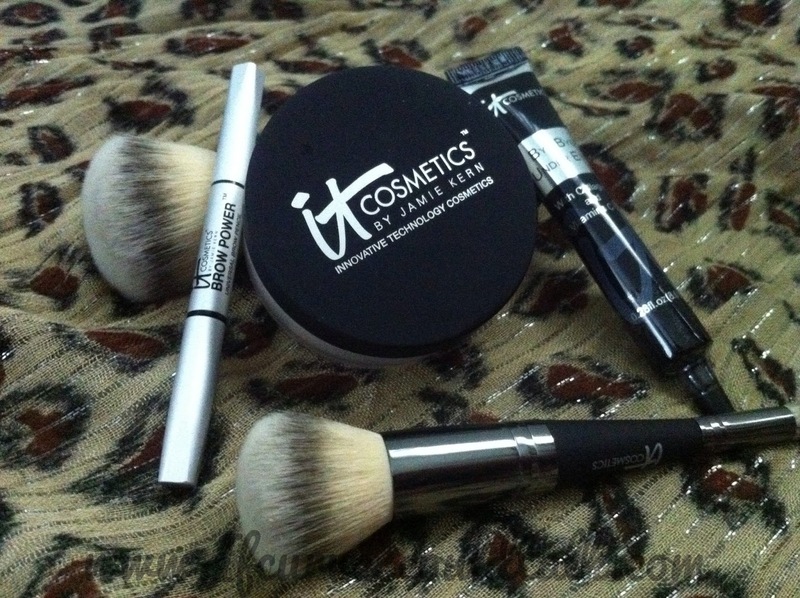 Again, I am REALLY picky about make-up but when it comes to IT Cosmetics, I swear by their products. Do you know if this deal is also available for us Canucks? I have yet to try anything from this brand, but you know I've got them on my radar. I always enjoyed your reviews doll.!! And this is definitely a great deal. Wow, this is definitely a great deal! I'm so on this. Thanks for the heads up, suga! I almost never drop responses, however I read through a few responses on this page "Review: IT Cosmetics Complexion Perfection Anti-Aging 4-Piece Collection TSV on QVC Sneak-Peak". mind. Is it simply me or do some of the responses look like they are coming from brain dead visitors? :-P And, if you are writing at other social sites, I'd like to keep up with everything new you have to post. Would you list of every one of all your public sites like your Facebook page, twitter feed, or linkedin profile?